I headed over to La Petite Cuisine with my husband over the weekend since we were along the Bukit Timah area. La Petite Cuisine is a no frills french restaurant that has a very decently priced menu. And as the term "no frills" suggests, there is no ambience or exceptional service to comment on. And therefore I will only limit my comments to the quality and pricing of the food. 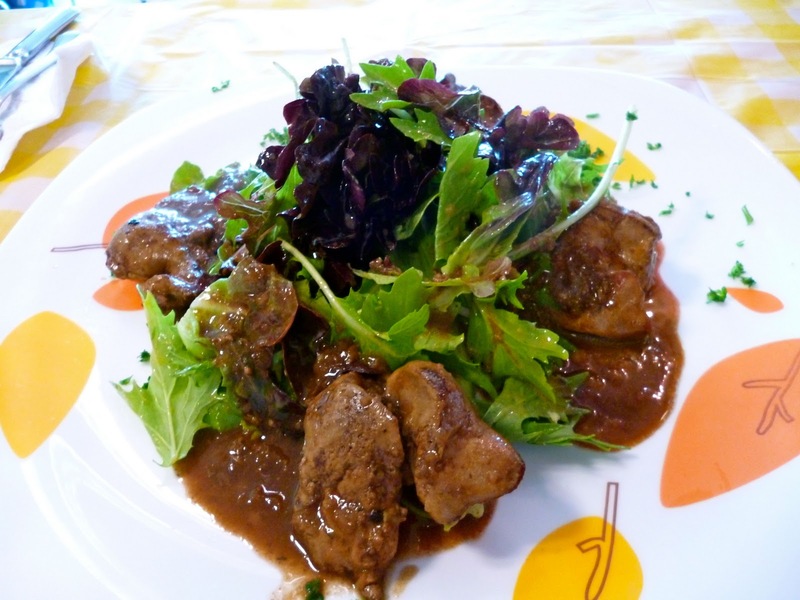 For starters we had the Panfried Chicken Liver Salad (SGD 10.00). Being a huge fan of chicken liver, I was extremely delighted with the portions of this dish. The dressing perfectly complemented the greens and liver. Absolutely loved this and couldn't stop raving about it while chomping down huge bites of meat and arugula. However I must warn that you must have an affinity towards chicken liver to order this, else I can see how others may find this overwhelming. 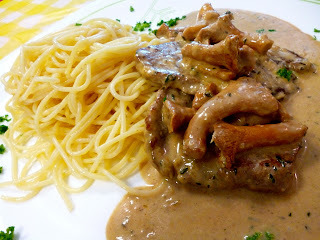 For mains I had the Mignon of Veal Tenderloin with Tarragon & Chanterelle Mushroom with Pasta (SGD 29.00). I thought the mushroom sauce was nicely done. The quality of the veal tenderloin was nothing worth shouting about, but overall this dish was fine. My husband had the Sea Prawns with Wholegrain Mustard served with Butter Rice & Salad (SGD 19.00). 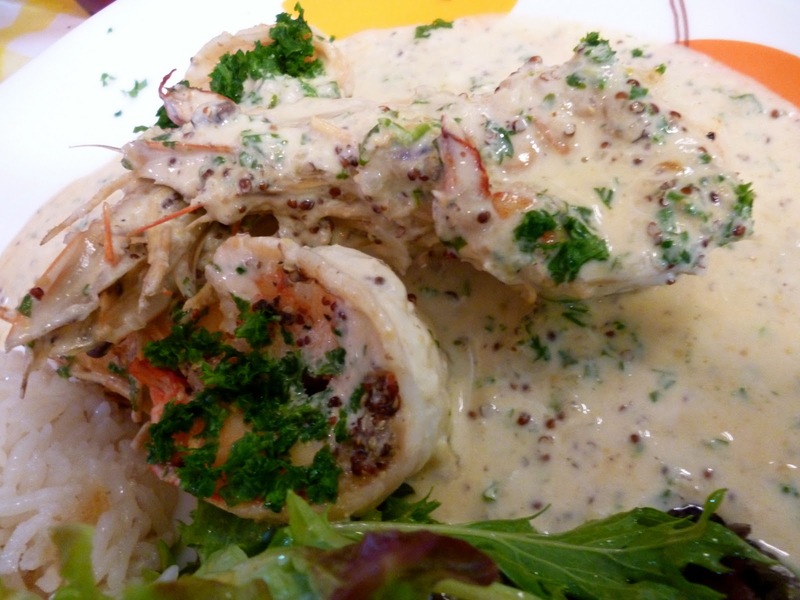 Had a taste of this and I really enjoyed the mustard sauce and thought it had a rich, scrumptious buttery-mustard flavor that went really well with the prawn. The butter rice was very smooth-- reminded me of my childhood habit of mixing margarine with rice (obviously I had no concept of cholesterol back then!). La Petite Cuisine is definitely value for money. The quality is pretty decent for the affordable pricing. Of course there are compromises made on the quality of meats used such as the veal tenderloin, but this is forgivable. I will most definitely be back to have more of the chicken liver salad or perhaps will try out their foie gras as well. And the good news is that craving for Frech cuisine now means I don't necessarily have to burn a hole in my pocket. I had a rather bad meal at their other branch. Yet to try this :) but would go for a try after reading your entry. Hi Missyglutton! Hope you get to try it out and let me know what you think. Quality is not exceptional, but definitely bang for your buck.